A Moscow court has found four people guilty of rioting and attacking police, sentencing two of them to prison terms of three and a half years, one to two and a half years, and letting the fourth protester go free under a suspended sentence. As the verdict was pronounced, about 100 people protested near the court building, prompting police to carry out several detentions. The only convict to receive a suspended sentence was Elena Kokhtareva, who had pleaded guilty during the court proceedings. 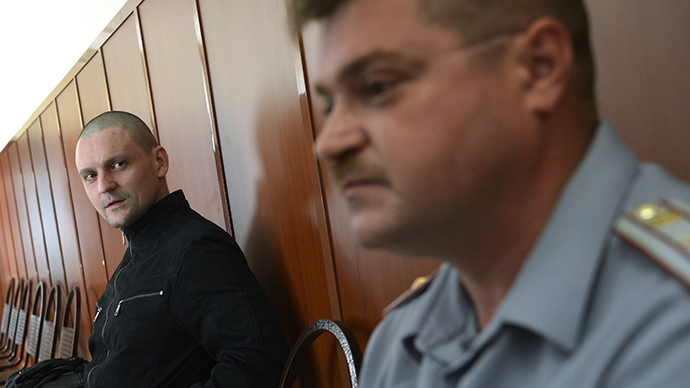 Opposition activist Ilya Gushchev, who pleaded guilty to some of the charges, was sentenced to two and a half years in prison – six months less than the minimum punishment of three years behind bars ordered by the criminal code for participation in mass unrest. The maximum sentence allowed for the crime is eight years. Two more opposition activists were sentenced to three and a half years in prison each. As the sentences were pronounced on Monday afternoon, around 100 people held an unsanctioned protest near the court building, shouting “Freedom!” and unfurling a banner reading “Russia is not a prison.” After repeatedly asking the protesters to disperse, police officers detained several people. 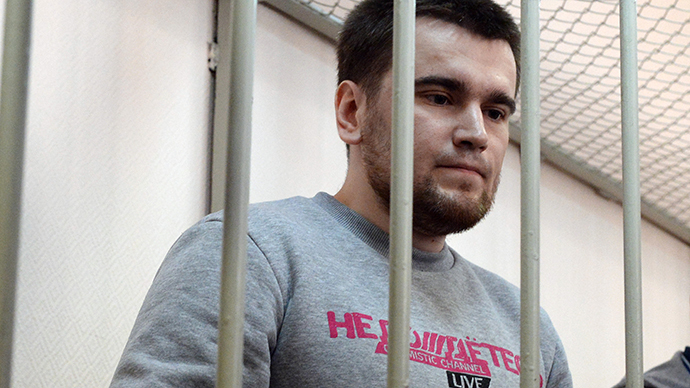 The Monday sentences were part of the so-called ‘Bolotnaya Case’ – the probe into the unlawful actions took place at Bolotnaya Square in Moscow on May 6, 2012, shortly before Vladimir Putin’s presidential inauguration. The riots began during a sanctioned rally against alleged violations during the 2011 parliamentary polls, organized by several opposition parties and movements. At first the march went off peacefully, but some of the protesters proceeded to violate the conditions of the event and clashed with police officers who tried to restore order. As a result, the rally was dispersed and many people were detained. Police established the identities of most active rioters, and located and charged them. 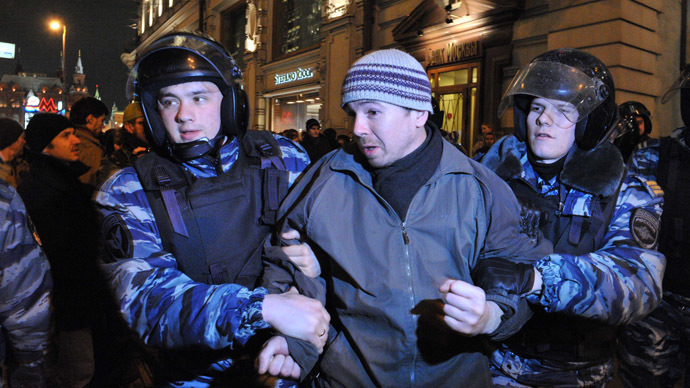 The initial number of suspects in the Bolotnaya Case was 28, but 11 were released under amnesty in December 2013. Most of the rest received prison sentences or suspended sentences of about three years. One man was sent to a closed psychiatry ward after doctors established that he was suffering from acute schizophrenia. There is one defendant still awaiting a verdict. The trials have generated intense controversy in Russian political circles, the media and society. 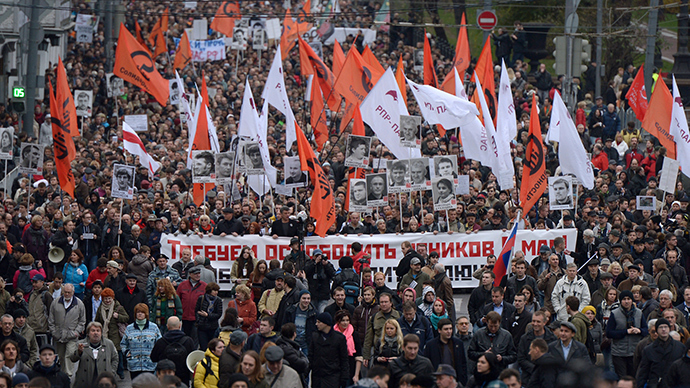 Major rallies have been held several times in defense of the Bolotnaya prisoners. Sometimes these rallies also ended in brief detentions after their participants refused to disperse. No new riots have taken place and no criminal cases have been initiated. However, during the probe investigators discovered that the initial unrest had been planned and provoked by activists of the Left Front movement. The organizers were detained tried and sentenced to between two and a half and four and a half years behind bars. 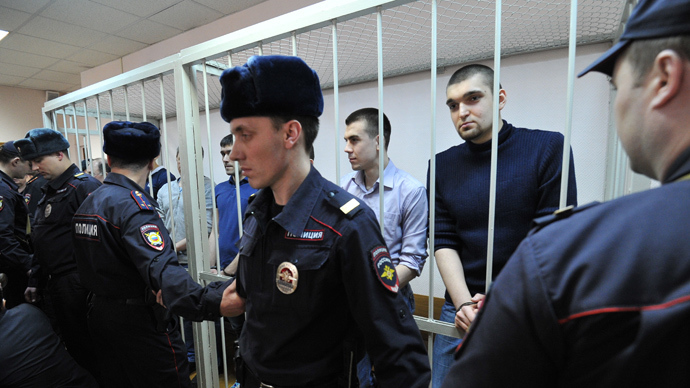 Russian law enforcement agencies also claim that the convicts had been advised and funded by Georgian politician Givi Targamadze, known as an expert in street protests and so-called "color revolutions." A criminal case has been started against Targamadze, but so far he has not been brought to trial in Russia because he lives abroad and has stayed away from the country.